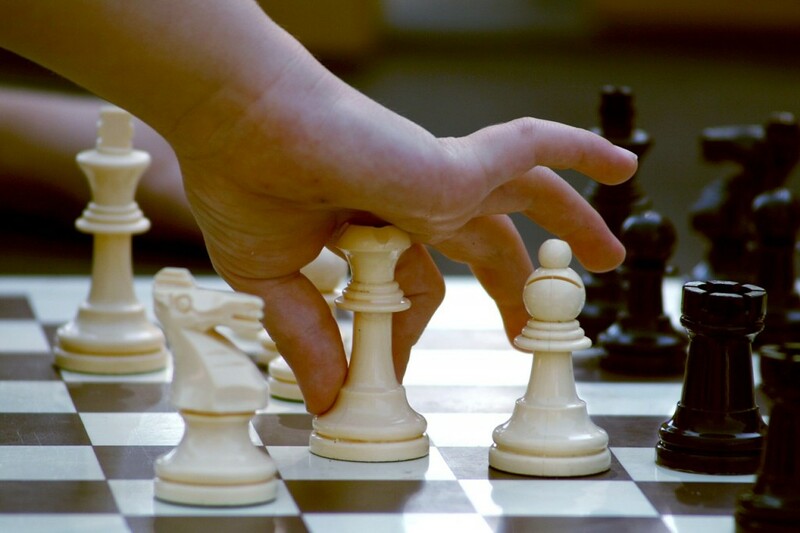 Home » Chess Rules » What Kind of Rules Can I Expect at a Chess Tournament? Chess is a popular strategy game that many people all around the world play. It has been around for centuries, and for some people, it is more than just a game. Chess clubs exist all across the world, where people come together to practice, learn, and hone their chess playing skills. For many people who play chess seriously, they will eventually play in a chess tournament. At a tournament, competitive chess players from all over gather to compete. Those playing in chess tournaments must adhere to a series of rules that is not present in casual or recreational play. In chess tournaments, players are required to record his or her own moves, as well as the moves of his or her opponent, after each move on the score sheet provided for the specific competition. Players use algebraic notation in the form of a grid for recording their moves. Players also have to record their move before making another. In addition to moves, the players also must record any offers of draws. They must keep their score sheets in clear view of the arbiter at all times. In some cases, tournaments will not have players record their moves. Instead, the arbiter records moves for them. •Players are not allowed to take notes or advice or analyze other players and games going on. •Players can’t leave the playing venue without permission from the arbiter. The playing venue usually includes the area the games are played, rest rooms, and smoking areas. Arbiters may designate additional areas. •Players are not allowed to distract or irritate their opponent. This includes repeated requests for a draw. •The opponent’s final score is determined by the arbiter. In some cases, mistakes are made and there are also rules regarding these mistakes and illegal moves. If it discovered that the initial setup of the pieces is incorrect, the game is canceled and a new one begins. In case one of the players displaces a piece, either by bumping it accidentally or some other way, he or she is allowed to replace it to its correct position on his or her own time. If the piece’s position before the displacement can’t be recalled, the game continues from the last identifiable position. Players playing in chess tournaments will use chess clocks to time their moves and keep the game running on time. Players have a certain amount of time allotted for each of their moves. With regards to operation of the clock, players stop their own clocks and then start the clocks of their opponents. Players are not allowed to start their own clocks. At the same time, players can’t hover over the clock button or keep their finger on it. Chess tournaments have a number of rules in place to keep the game fair and accurate. This is a sample of a few of them, but you should consult your tournament’s handbook to make sure you know all of them.